We’ve known that Facebook at Work was getting close to launch for a while now, with an increasing flow of information about trial customers and their experiences. However, it now seems as though we’re in the final couple of weeks before the platform formally debuts publicly. 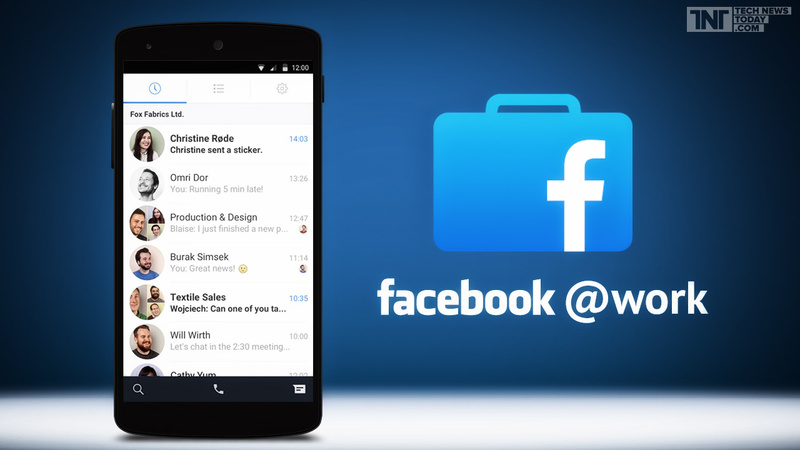 Facebook has now sent out invites for a Facebook at Work launch event to take place in London on Monday, October 10. The invite confirms our report earlier this week that it would launch next month, and it’s also significant for another reason. It will be the first time that Facebook has launched a global product outside of its U.S. home market. That makes sense: as we reported back in 2014 before Facebook officially revealed the product, Facebook at Work was conceived and built in Facebook’s London offices, far from the bustle of Menlo Park and its strong focus on consumer services and the company’s existing platform. Subsequently, while Facebook at Work gradually entered a closed beta, some of the biggest customers have come from Europe, including Telenor and the Royal Bank of Scotland. The enterprise social and collaboration space is in somewhat of a weird and unstable state at present, with leading vendors variously: moribund with lack of new ideas, on the cusp of an acquisition by others, running down their existing products whilst integrating services into more modern offerings, looking for alliances with others to fill major holes in their portfolios, or just keeping the lights on in the worst situations. There is no doubt that this market is ripe for an aggressive newcomer to take a fresh approach and shake up the incumbents in a major way – much as Apple did in 2007, or as Tesla are doing to the auto industry right now. The public opinion on Facebook’s relevance to business seems to be strengthening, anecdotally at least. I tend to ask my customers whether they block social media platforms across their networks, and also whether they use Facebook for their own marketing and customer service purposes, and in both cases I’m finding that things are swinging heavily in Facebook’s favour. It wouldn’t be too much of a stretch to think that at least a significant proportion of these ‘Facebook-friendly’ organisations would be willing to trial a business-focused social collaboration service, particularly if their competitors or partners use it and rate it highly. The reviews from organisations taking part in the beta have been extremely positive. The aforementioned RBS are very much the poster customer for Facebook at Work here in the UK, and they have been very public in their confidence in the solution for their requirements. As a large and well known organisation in the usually extremely conservative finance sector this has surprised many, not least because they are also a long-time IBM Connections customer. I can only think that they have good business reasons for being so positive. All that said, knowing the complexity of deploying social collaboration platforms that support meaningful use cases versus just allowing sharing and conversations from all my years of experience, simply making a business-focused version of the functionality available to us all as consumers simply won’t cut it. Therefore Facebook at Work still has a mountain to climb to match the solutions that Microsoft, IBM and Jive (among many others) have been providing to organisations around the world. It is going to be fascinating to see how this battle shapes up come the 10th October. Grab your popcorn and pull up a comfy chair, it’s sure to be an interesting (and possibly crucial) time for our industry. What do you think? 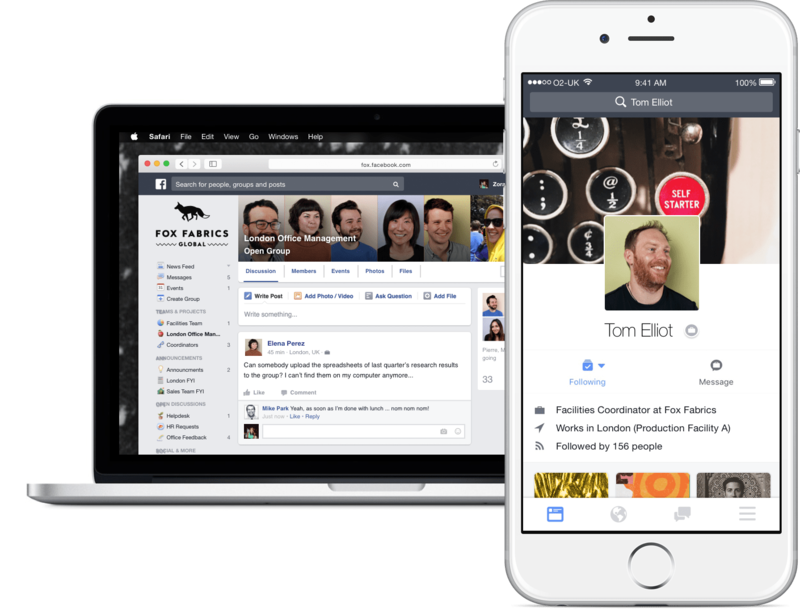 Can you see Facebook at Work winning business from the incumbent online community providers?